Mar 2, 2015 – TORRANCE, Calif.
With the most comprehensive suite of safety and driver assistive technologies yet available on an Acura, the 2016 RLX luxury sedan goes on sale March 3 with manufacturer’s suggested retail prices (MSRP) unchanged from the previous model year. This price hold represents a significant value, especially for the Technology package due to the addition of AcuraWatch™ and Advance package which includes the first U.S. application of Acura’s Surround View Camera system3. Both RLX packages will also adopt the application of Road Departure Mitigation (RDM) and Cross Traffic Monitor. 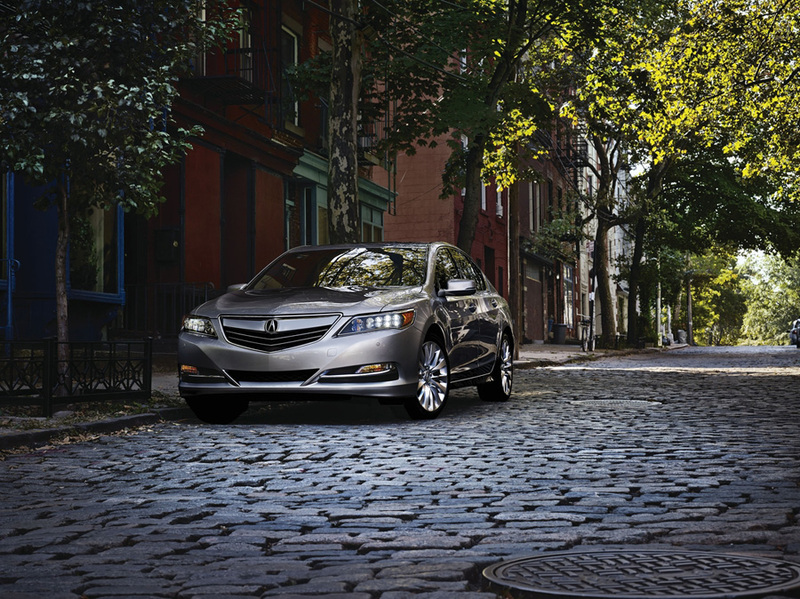 The Acura RLX luxury sedan boasts an abundance of standard premium attributes and features. These include a powerful and smooth 310 horsepower, direct-injected i-VTEC V-6 engine that contributes to the RLX’s EPA fuel economy ratings of 20/31/24 mpg (city/highway/combined)2, agile and sporty handling with Precision All-Wheel Steer™ (P-AWS™), distinctive Jewel Eye™ LED headlights, 19-inch bright-finished wheels and next generation AcuraLink® connected car system. At the heart of AcuraWatch™ is the fusion of camera and radar technology that can sense the roadway and objects within it, including other vehicles and pedestrians. This technology underpins the systems that help provide the driver with superior vision around the vehicle, can alert the driver of potential issues and, if necessary, intervene to help keep the RLX from departing a lane, departing the road, or help to avoid or mitigate the severity of a collision. These systems include Road Departure Mitigation (RDM) and Cross Traffic Monitor, both of which are new to the RLX. 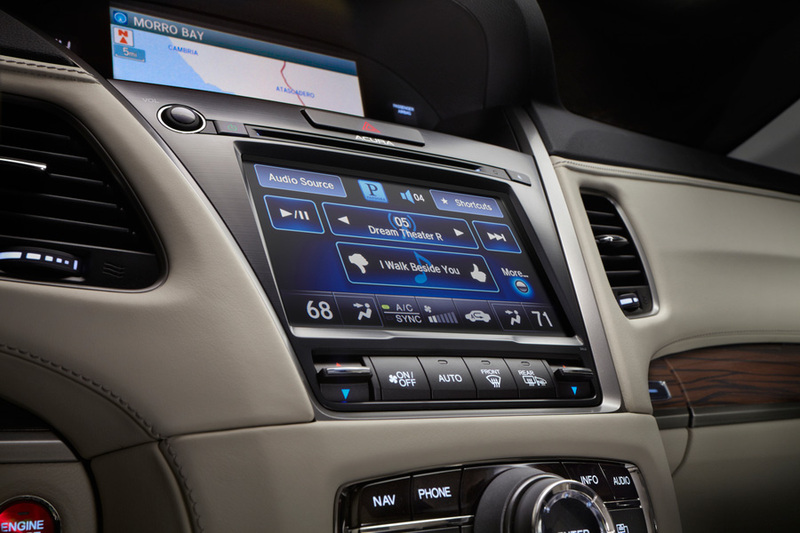 For 2016, the Acura RLX with Advance Package includes the first U.S. application of Acura’s Surround View Camera system3 that provides a 360-degree image of the area around the vehicle. The surround view camera system is designed to assist drivers during critical and precise maneuvers in snug parking situations. Using four separate cameras, views from behind, directly in front of, and both left and right sides of the vehicle can be displayed on the navigation screen. The system can also use all four cameras to seamlessly create a composite bird’s eye image, to provide the driver with information about the surroundings. In addition, dynamic on-screen guidelines help the driver see their projected path relative to the lines demarking parking spaces or other objects, allowing them to maneuver with greater confidence. New for the 2016 Acura RLX, Road Departure Mitigation (RDM) uses a Monocular Camera (mounted on the upper portion of the windshield) to identify solid or dashed painted lane lines, Botts’ Dots and Cat Eye markers. 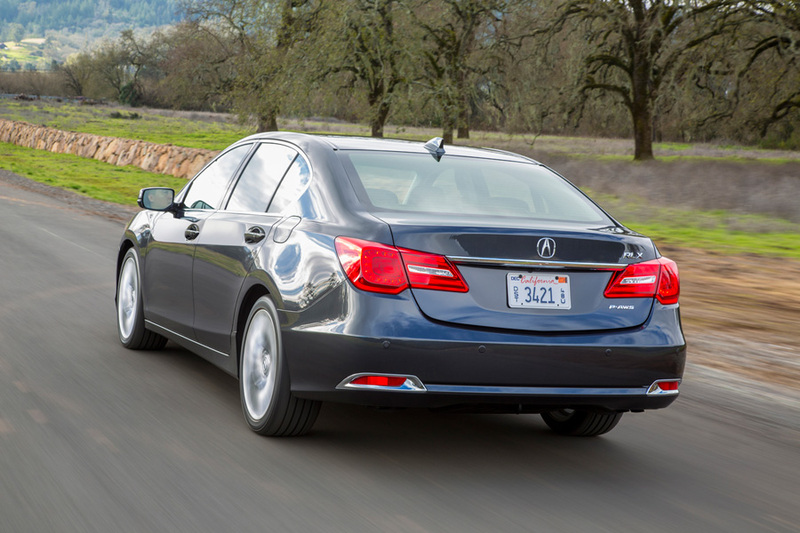 RDM uses both steering force, via EPS, and braking force, via VSA, to help the RLX stay a detected lane. The monocular camera can recognize lane features and identify a lane or roadway edge. If the RDM system determines that the RLX is about to leave a detected lane or roadway defined by solid lines, it will provide steering assist (primary) and, in rare occasions when steering is not sufficient, braking assist to help the driver stay on the road. If a lane only identified by dashed lines, Bott’s Dots or Cat Eye markers and the system determines that there is an unintended departure, no braking assist will be provided. 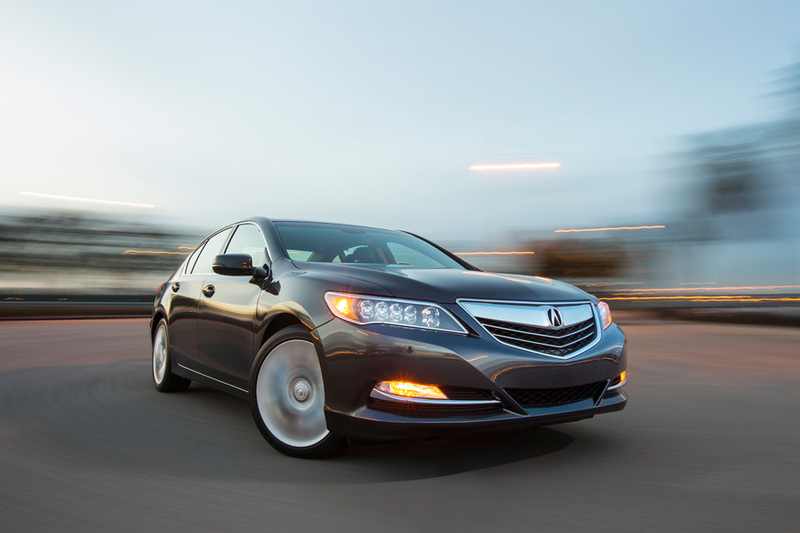 Instead, the RLX will use active steering force to return to the detected lane. RDM is integrated with the Vehicle Stability Assist (VSA) system to provide moderate braking, and with the Electric Power Steering (EPS) system to provide steering input. The system utilizes a pair of blind-spot radar units located in the rear bumper corners. When Reverse is selected and an approaching vehicle is detected, arrows indicating the approaching vehicle’s direction are shown on the center display’s rear camera image. An audible warning is simultaneously emitted. 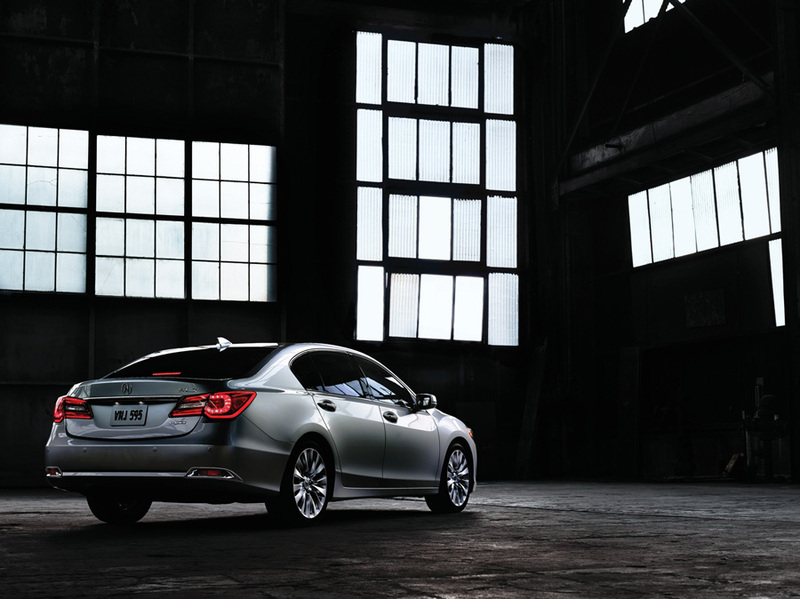 To improve overall ride and handling quality and reduce noise, vibration and harshness (NVH), the chassis of the 2016 RLX has received multiple tuning refinements. Both the front and rear shock absorbers get an increase in piston rod diameter and the rear stabilizer bar’s stiffness is decreased. The front and rear spring rates and shock absorber damping force were all decreased to provide better shock absorption and road surface tracking. Furthermore, the front upper spring/shock mounts and rear bump stops were changed for improved action. The 2016 Acura RLX is available in three trims, RLX with Navigation, RLX with Technology Package and RLX with Advance Package. The RLX with Navigation has been upgraded for 2016 with the same larger 19-inch wheels as standard on the other trims with a new bright finish The RLX with Technology Package has been enhanced with AcuraWatch™ as standard. The RLX with Advance Package has been improved with AcuraWatch™ including surround view camera and a bi-directional remote engine starter. Also for 2016 a new Acura Silver Metallic color is available. 1MSRP excluding tax, license, registration, vehicle options and destination charge of $920.00. Dealer prices may vary. 2Based on 2016 EPA mileage ratings. Use for comparison purposes only. Your actual mileage will vary depending on how you drive and maintain your vehicle. 3Visually confirm that it is safe to drive before backing up or parking. Certain conditions (such as weather, lighting and high temperatures) may also restrict the camera view. Do not rely on the camera displays as they may not give you all information about conditions, persons, objects or obstructions around your vehicle. Umm, did they scrap the hybrid already? Or is that treated separately?